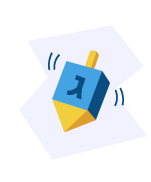 Holidays @ Chabad Grand Chanukah Celebration - "The Dreidel House is Back!" 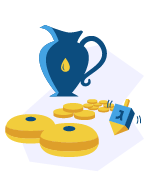 Join us for Chanukah 2018! 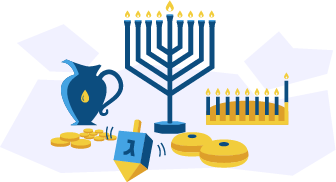 Chanukah is coming, and we want to take this opportunity to wish you and yours a very happy and inspiring eight-day Festival of Lights! P.S. 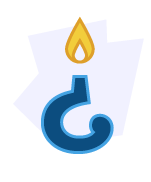 Reading and sharing is great, but the most important thing do is to light the menorah. 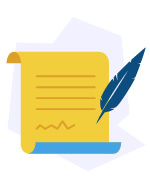 Click here for a full guide with all of the information you need to fulfill this mitzvah. P.P.S. 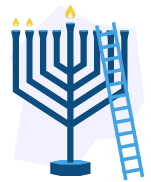 Be sure to check out our Chanukah events below. There is no Charge, the Event is open to the Public. Open to all Children in the Community and their families. 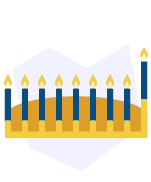 We'll be giving out kits with menorahs and candles. You could even come with and help us distribute them! Not sure whether it's set up left to right or right to left or whether it's lit right to left or left to right?